Great resources to help you out! 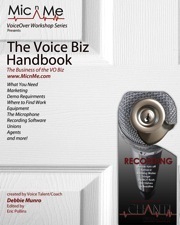 No voice talent should be without The Voice Biz Handbook. Over 30 pages added to the original informative 40 page handbook, VB includes current information that you need to know to enhance your voiceover career.  Marketing, demos, equipment, unions, agents, casting, resources for work, where to send your demo, rates, resources for training, engineers, equipment and more. No more excuses! Can’t get to a workshop, don’t know where to start, need that extra boost? 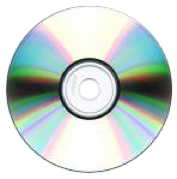 This amazing 90 page workbook and CD-Rom narrated set was made with you in mind. Exercises, what type of work is available, script analysis, advanced character development, acting techniques, tips and tricks and more. One hour with Debbie Munro via TeleVoice or In person included with purchase for a limited time. 11 time emmy award winning sound engineer, James Alburger is a top voice over talent and coach. James has put together an amazing team of experts, including a special feature from Deb Munro. This book is a must have for your resource library. A short read worth picking up again and again. Author of “You Can Bank on Your Voice”, full time voice talent and coach Rodney Saulsberry speaks to all performers about positive thinking and positive results. This is a must read for everyone. The perfect compliment to the VoiceBiz handbook, written by one of the top engineers of our time. If you’re building a studio and want to learn from the best, then this downloadable e-book is a must have. 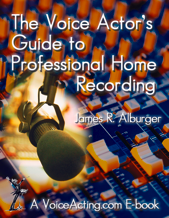 Take it even further with the Voice Actors Guide to Home Recording. Showing both aspiring and established voiceover actors how to set up and effectively use their own inexpensive - but professional-sounding - personal recording studio. One of the best directors and voice talents in animation. One of the top dialogue directors and four time Emmy nominee has directed more than a thousand episodes of various recognizable and successful Cartoons. Based out of San Fransisco the amazing Susan Blu shares here secrets in the top seller “Open Your Mouth”. 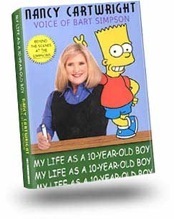 The amazing voice of Bart Simpson has an incredible story to tell in this heartwarming read, “My Life as a Ten Year Old Boy”. A must for your reading library. This amazing book was crafted by Judith Weston and designed for directors. An actor should also understand the directors job and his methods to get the results you need. 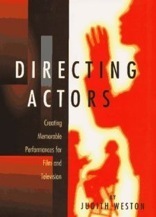 This is a must for your acting library. This book isn’t about methods. It’s not another how-to guide. 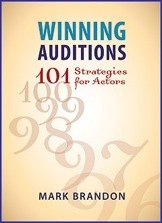 Winning Auditions: 101 Strategies for Actors is a revelation: a shared collection of actors’ trade secrets— tricks of the trade divulged by professionals in an experimental workshop that lasted nearly a year. You will discover what actually sells you more than talent. In short, you will have 101 innovative ways to get what you have always wanted: more of the parts that you deserve. The most candid yet entertaining look into the industry and one of the best acting coaches out there. Top LA Director Tom Logan paints a vivid picture in his best selling book series. Tom has published four books in the marketplace. 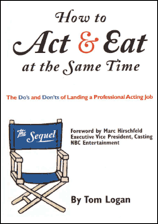 His latest books, HOW TO ACT AND EAT AT THE SAME TIME, the sequel, and ACTING IN THE MILLION DOLLAR MINUTE, the sequel, can be found in bookstores worldwide and are required reading in hundreds of Universities and acting schools worldwide.